There is an ongoing LEGO contest in MOCpages named The Classic Space Pocket Money Contest II (closing date is Saturday 11 January). 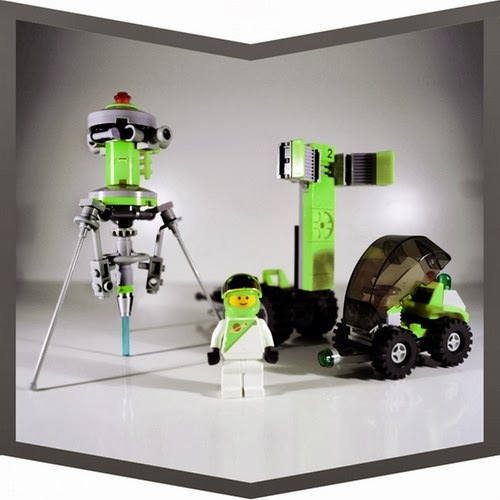 Pico van Grootveld (Brix 'n space) has shared his unique creation for this contest. His creation belongs to a space faction called Tequilatron. This theme colors are lime and white, which are most appropriate for lime and salt (Tequila!). I like the way he build the drill with antenna legs with antennas and minifig utensil (dedector) pieces. The drill is a tripod with a laser beam. Generally, the creation has a real classic space look. He built the customized minifig with recolored futuron torso print. The helmet and airtanks are also lime colored. 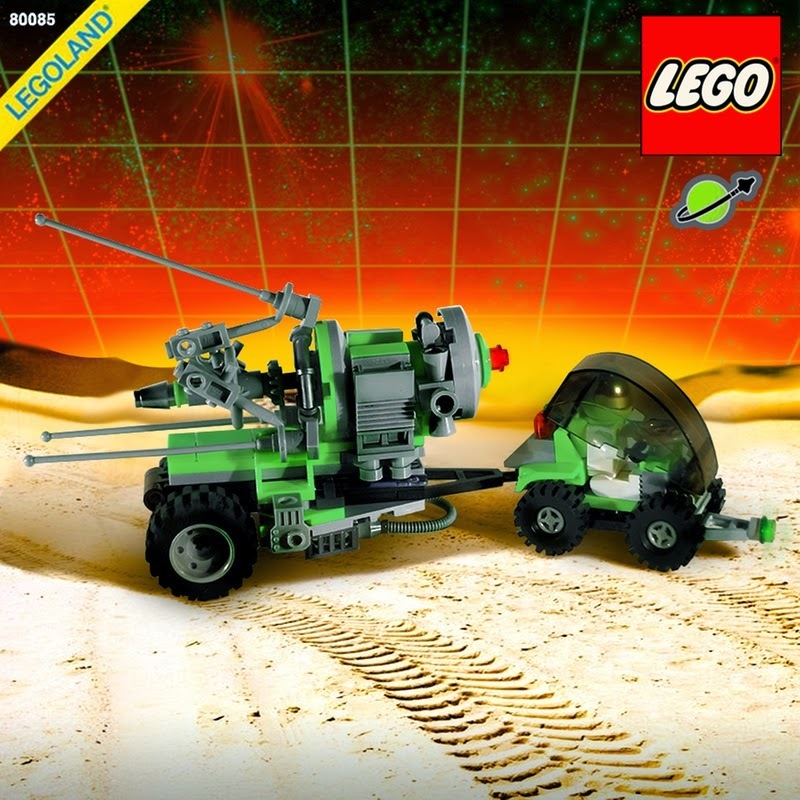 He created custom set package images that look really aouthentic featuring the Legoland and LEGO brand logos. There are also two alternate builds for this custom set. One is a walker and the other one is a small space shuttle. Check out the part list and the creative Tequilatron logo.